Colonel Roberts explained that he made the landing at Wethersfield at a speed of 120kt, retaining the cruise sweep of 26°, after 5hr 55min, and that the aircraft still had fuel for 1 1/2hr aboard after arriving at Wethersfield. 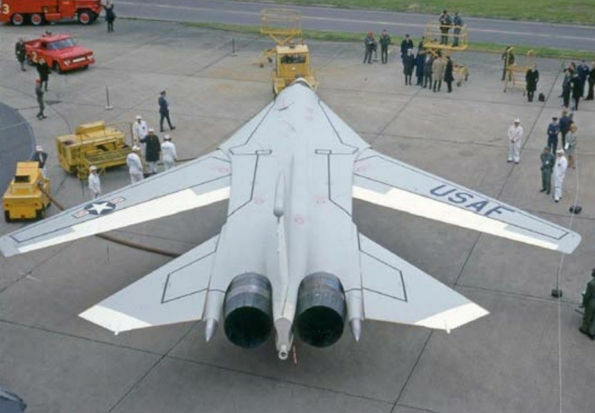 Three days after its arrival at the Essex base, the immaculately-appointed F-111A was made available for its first inspection by British officials and the press. The distinctive “swing­wing” was demonstrated in swept, unswept, “clean” and “dirty” configurations. 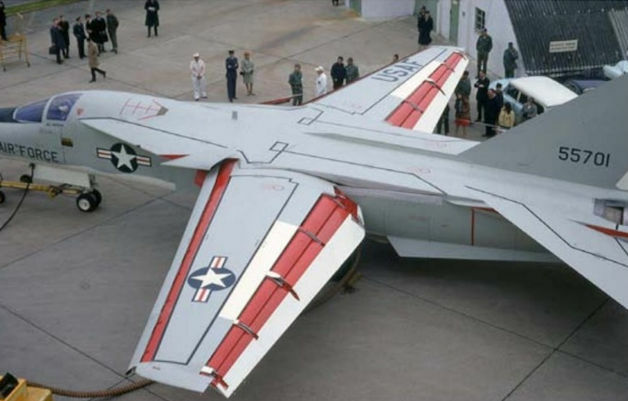 On May 22, 1967, General Dynamics F-111A serial 65-5701 departed Loring AFB in Maine, in company with the 20th pre-production example, to make the controversial new strike fighter’s first visit to Europe. In charge of the two-aircraft formation for the transatlantic hop - the other flew direct to Paris - was the USAF’s Col Ray Roberts, who reported that the flight was made with full internal fuel at the optimum cruise sweep of 26°, at a cruise altitude of 29,000ft (8,840m). 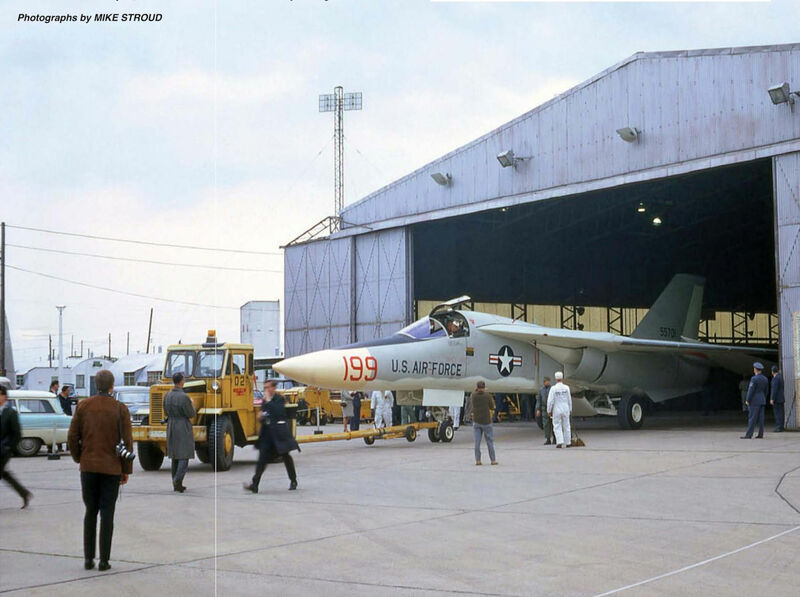 Here the F-111A is pulled from its hangar at Wethersfield on May 25, 1967.